August 4th, 2018 CI Jam is moved to EartHaven! Come for just the jam or the whole afternoon! Read below for more details! Directions below: No cell service, get your directions in advance. 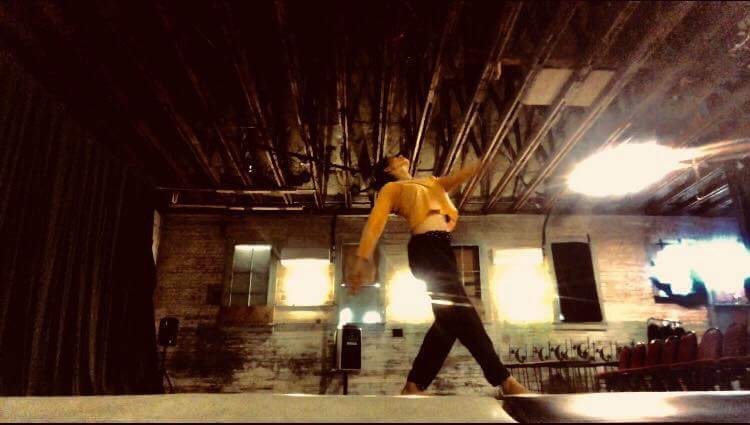 Join Natalie Cohen as we investigate the motoric masses of our axial skeleton that aid us in carrying our limbs through space and guide our weight for dynamic contact improvisation. Take your own body for a ride, slide, or glide! This class is for All levels, all disciplines, all bodies; The material is inspired by The Axis Syllabus principles for motor skills which is derived from different sciences such as anatomy, physics and bio-mechanics. Bring a dish! Share a meal! None turned away for lack of funds! 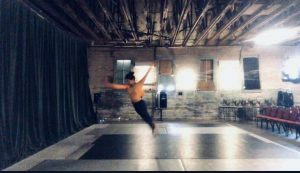 After earning a degree in dance and choreography from CalArts , Natalie went to Brazil to participate in The Nomadic College with The Axis Syllabus Research Network. Seven years later , after profound studying , she is now an Axis Syllabus Candidate Teacher and teaches regularly in her residing city of New Orleans. Alongside movement research , she has also facilitated and led workshops in contact improvisation where she finds a lot of joy and wisdom. 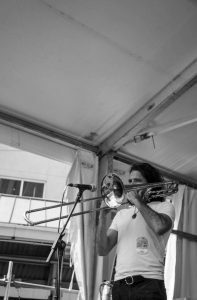 Russell Ramirez began playing the trombone at the ripe age of thirteen, but considers moving to New Orleans in early 2012 as the beginning of his career as a musician. Russell’s introduction to CI and movement in general came through meeting Natalie. He really enjoys the improvisational and give-and-take elements of playing during a CI jam, and he is slowly becoming a mover himself. Write down the directions and/or pre-download (the correct) map! No cell service! After turning onto Camp Elliott Road: Go about a mile down Camp Elliott Road, past Stone Mountain School. After the school, please reduce your speed to 15 mph. You will come to the end of the pavement, where the road forks, with Full Circle Trail on the right, and Another Way straight ahead through an open metal gate. Proceed through this gate, and you are at Earthaven. The Earthaven speed limit is 10 mph. Cross one bridge and turn right following signs to the camp ground. Stay to the left to arrive at the parking lot. Park and walk down past the parking lot to find the Council Hall building where the dance will be held.